Online tickets available through February 8th. Tickets will be available at the door at regular exhibit price of $10 per person. A special tour of the Wedding Dresses Through the Decades Exhibit will be given at 10:00 a.m. on February 12, 2019 to home school families. Tickets can be pre-purchased online by February 8th at www.oaklandsmansion.org for a special rate of $7 per person or purchased at the door for regular exhibit admission of $10 per person. Children ages five and under are admitted free. While here, students will receive a special guided tour of the exhibit including stories from the brides that wore the elegant and fashionable wedding dresses as well as an insight into the preparation and care of these precious garments. Children must be accompanied by an adult and museum tours are available at regular rates. Vintage gowns from the past 100 years are on display along with brides’ photos and stories from their wedding day. Guests have the rare opportunity to view items from, not only the museum’s collection, but also elegant and fashionable wedding dresses worn by ladies from Murfreesboro and around the country. 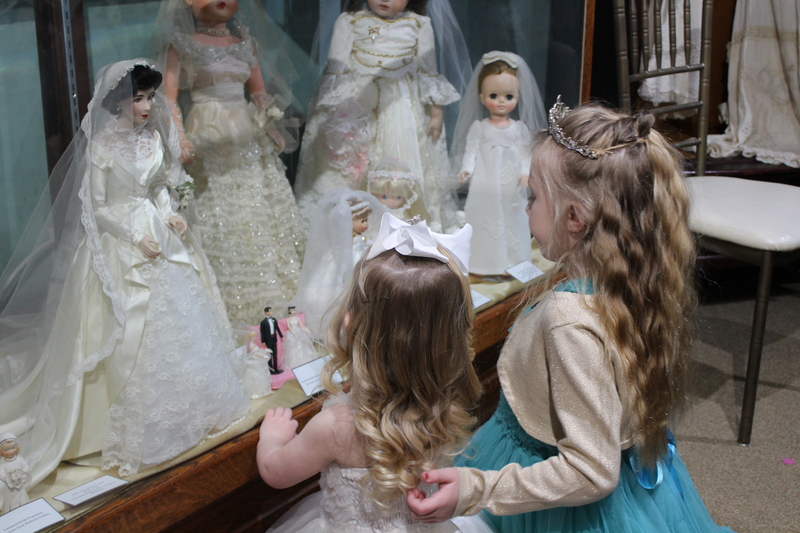 Also on exhibit are bride dolls from different decades in many different sizes and vintage bridesmaid’s dresses. This special home school tour will be on Tuesday, February 12, 2019 at 10:00 a.m. and is open to all home school families. Tickets can be pre-purchased online by February 8th for a special rate of $7 per person or at the door for regular exhibit admission of $10 per person. Children ages five and under are free.